Nampak [JSE:NPK] came under significant pressure as it closed at R10.28 after dropping 8.3%. Retailers also traded mostly lower on the day. Truworths [JSE:TRU] fell 1.9% to R70.78, Shoprite [JSE:SHP] closed 2.7% weaker at R157.20, and Mr Price [JSE:MRP] lost 1.93% to close at R191.76. Clicks [JSE:CLS] lost 3.38% as it closed at R172.00, while Blue Label Telecoms [JSE:BLU] lost 3.01% to close at R3.54. Listed property stock, Resilient REIT [JSE:RES] shed 1.92% to close at R55.54, while Intu Properties [JSE:ITU] lost 1.88% to close at R19.36. 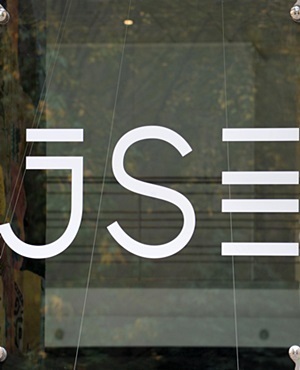 A volatile trading session ensued for Kumba Iron Ore [JSE:KIO] which eventually closed 1.65% weaker at R441.00, South32 [JSE:S32] closed 1.59% lower at R38.38.